Get your hands on the official ball for the 2018 FIFA World Cup. 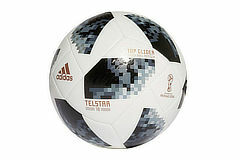 This ball has a textured surface structure for performance and design benefits. Perfect for kick-abouts with your friends or for games. The prize draw closes on 22nd January at 8.30pm.